The “Fred” Update is yet another bold move by the search engine giant Google that has shaken the entire Internet. This time, it is for low-valued content websites that are primarily focused on making money from Google AdSense. According to SISTRIX, every year, there are more than 600 updates by Google. Apparently, announcing all them is practicality not possible. 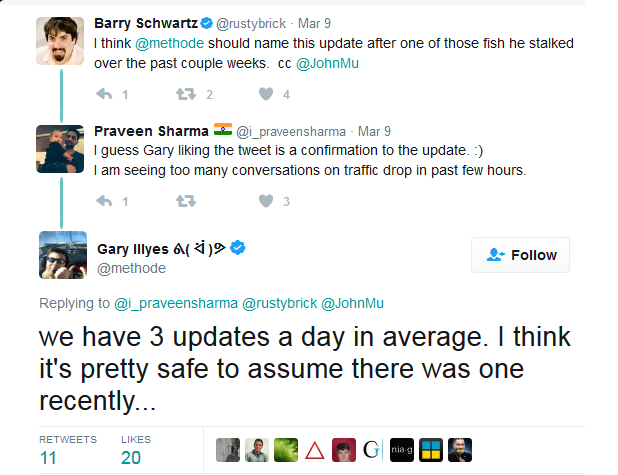 Something similar happened on March 7th that has been confirmed by Google’s Gary Illyes on Twitter in a conversation with Bary Schwartz. Thanks to Bary Schwartz who has been making online industry up-to-date about Google for 13 years. Google has so far not said much about this update called “Fred,” but reportedly, it has made a huge impact on content oriented sites having low-valued content. As Bary observed over 100 websites that saw a significant drop on March 8th, 2017, all these sites had been created with the sole purpose of generating revenue from Google AdSense. Let’s delve deeper to understand what it is all about and how to recover your website if the Google Fred Update has hit you bad. That’s intriguing! 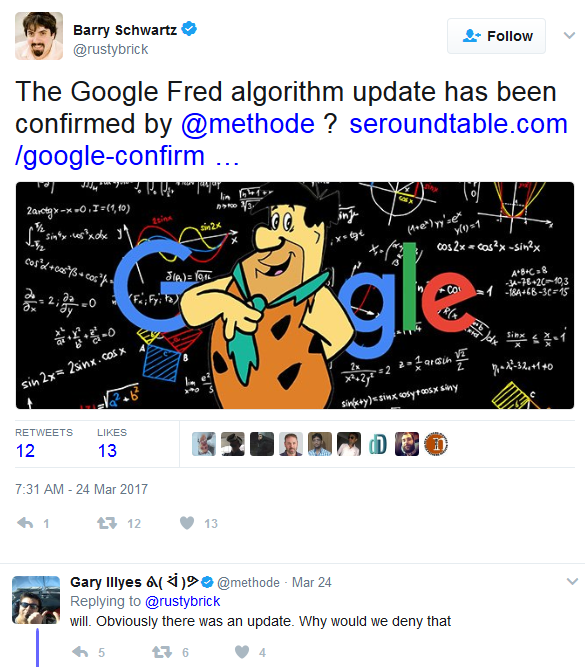 The entire online industry is using the term “Fred” for the latest update as a suggested joke from Google’s Gary Illyes. How to Identify If a Site Has Been Penalized? Ranking drops are the first indication that a site has been penalized due to Google Fred Update. Also, it is crucial to check organic traffic in Google Analytics. It is evident that without rankings, a site will not receive organic visits, impressions, and clicks. However, for now, the sites with less-risky backlink profile have seen increase in organic traffic. For this, the credit can be given to the sites that have spammy profiles. Further, the sites that strictly adhere to Google Webmaster Guidelines will be given preference. 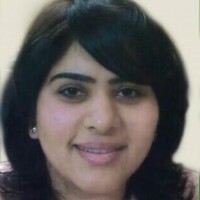 What Google Webmaster Guideline Says? Under its basic principles, Google clearly indicated to make pages primarily for users, not for search engines! Let’s check out the types of sites that saw a massive decline in Google Traffic after being penalized by the Google Fred Update. An analysis of 300 domains by SISTRIX, an SEO data provider, reveals that this update has hit ad-heavy and thin-content sites. To know more, check in-depth details of SISTRIX analysis. As Google has yet to confirm on the Fred update officially, Google Webmaster Guidelines is the only way to recover your site from Fred Update. For quick tips, let’s take a glimpse at the following points to recover your site from his update. Make your site unique, valuable, and engaging for users, not for search engine robots. Check your ad ratio to make sure it is not making your site look overloaded. Prefer quality over quantity – quality of backlinks matters more than the total number of links. Create content that solves particular user search query. Give more preference to users than keywords. Decide a theme and write content around to give users a new direction. For instance, rather embedding too much affiliate links, make your audience familiar with honest reviews, tips on buying, and offer step-by-step guides to help them make a decision. Create meaningful anchor texts to increase relevancy. Leverage interactive content, which includes infographics, videos, and podcasts. Avoid publishing similar content over and over. Avoid using automated tools to create backlinks. For many users, the online experience starts with Google! Google responds to over 3.5 billion searches per day. So the world’s largest search engine has the huge responsibility on its shoulders, that is to provide the most authentic and accurate information to its users. Every update is the outcome of the true efforts made by Google to improve search results for users. So, the intention is very clear, if you want to enjoy high rankings, follow the rules, else the game is over! 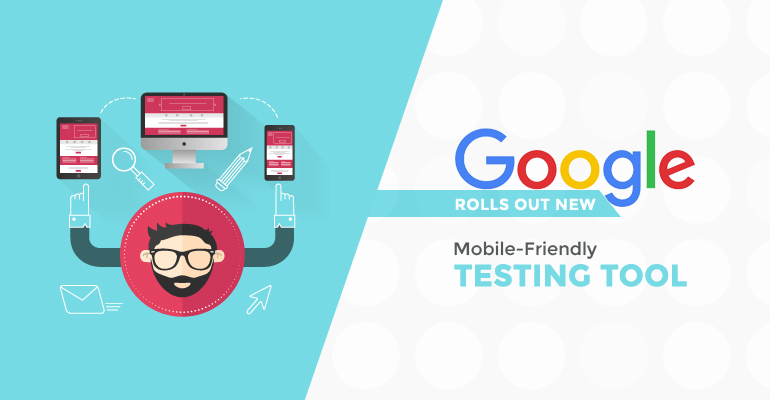 Google Pulls the Plug on 800,000 Online Marketers Google Rolls Out New Mobile-Friendly Testing Tool Google Notifies “Intrusive Interstitials” Will Affect Mobile Ranking From January 2017 Google Mobile-First Indexing- Will it Sway Your ROI? 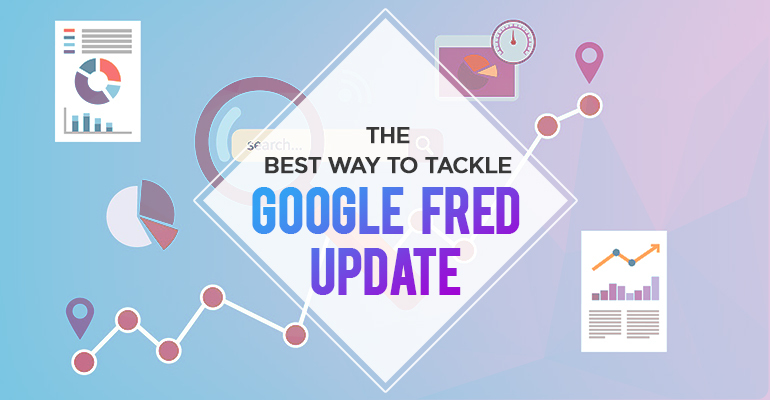 Finally, I get to understand what the all fuss about Google Fred Update is! Nice post. 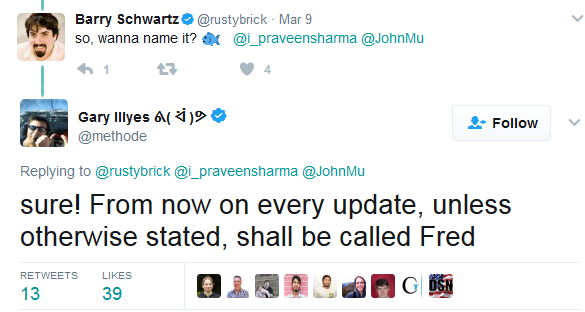 Thanks for providing in-depth knowledge about Google Fred Update. A worth reading article. Nice and informative post Ruchi! Thanks for sharing. That’s right…to sustain rankings…one needs to follow the rules…!!! Thanks Ruchi… Sure this is going to help a lot. Thanks for posting about google Frd update. Truly a good post about Google Fred Update. Enjoyed reading. Informative. Thanks for sharing Ruchi. That means contents which are of low quality and too ad-heavy may see huge rankings drop. Thanks a lot! It was really helpful and I would love to share this piece on my social channels. Well at least there’s value to low quality content. It is just a matter of adjusting to Google’s changes which happens every now and then. Great post!! It’s really helpful to if your website affect Fred Update.. One thing is clear any updates are happen but all time require quality and unique content.. Simply want to say your article is as astonishing. The clearness for your put up is simply spectacular and that i can think you are an expert in this subject. Well with your permission let me to take hold of your RSS feed to stay updated with drawing close post. Thank you a million and please keep up the rewarding work.